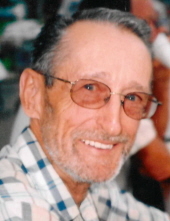 Richard William “Rip” Hogan, 81, of Niota, Illinois, passed away at 12:59 a.m. Saturday, March 3, 2018 in Eufaula, Alabama. Born June 2, 1936 in Fort Madison, Iowa the son of Ambrose and Emeline (Moore) Hogan. On August 3, 1979 he married Carol Rose Ash at the Nauvoo Presbyterian Church in Nauvoo, Illinois. He is survived by his wife: Carol of Niota, Illinois; one daughter: Donna (Kevin) Gross of Jackson, Missouri; one son: Tim Hogan of Cape Girardeau, Missouri; one granddaughter: Katie Hogan of Miami, Florida; three brothers: Ronald (Joan) Hogan of Nauvoo, Illinois, Leonard Hogan of Nauvoo, Illinois and Patrick “PJ” Hogan of Fort Madison, Iowa. He is also survived by several nieces, nephews and cousins. He was preceded in death by his parents and one brother: David. Rip was a graduate of Sts. Peter and Paul Catholic High School in Nauvoo, Illinois. He was a United States Veteran having served in the Navy and Air Force. He retired from J.I. Case Company and was a lifelong farmer. Rip was a member of Sts. Peter and Paul Catholic Church, the Allamin Council Knights of Columbus in Nauvoo, he served on the Niota Fire Department and was trustee for Appanoose Township. He was a devoted husband and father. Rip enjoyed farming, flying planes, playing cards (especially cribbage) boating and he loved camping. He was a very talented woodworker. Friends may call after 1:00 p.m. Friday, March 9, 2018 at Sts. Peter and Paul Catholic Church in Nauvoo, Illinois where family will receive friends from 4:00 to 7:00 p.m. A Parish Rosary will be recited at 6:30 p.m. The Mass of Christian Burial will be held at 10:00 a.m. Saturday, March 10, 2018 at Sts. Peter and Paul Catholic Church in Nauvoo with Father Tony Trosley as celebrant. Burial will be at the Appanoose Cemetery in rural Niota. Full military rites will be presented by the Nauvoo American Legion Post #711. Memorials have been established in his memory for Sts. Peter and Paul Catholic School or the Niota Fire Department. Schmitz - Banks & Beals Funeral Home in Nauvoo is assisting the family with arrangements. On-line condolences to the family may be left at www.schmitzfuneralhomes.com. To plant a tree in memory of Richard William "Rip" Hogan, please visit our Tribute Store. "Email Address" would like to share the life celebration of Richard William "Rip" Hogan. Click on the "link" to go to share a favorite memory or leave a condolence message for the family.